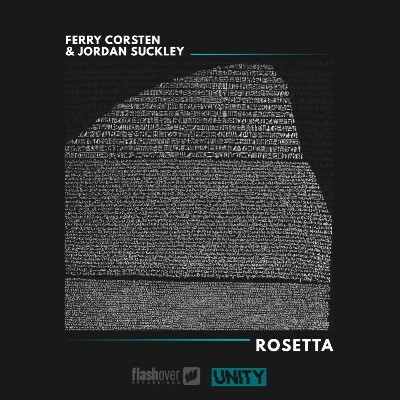 Ferry Corsten continues to fly the flag for the UNITY project with the latest offering ‘Rosetta’, this time joining up with Jordan Suckley, who is no stranger to collaborations having previously worked with the likes of Paul Oakenfold and Paul Van Dyk. Having regularly appeared on the same line-ups and festivals, Ferry once again encompasses the spirit of UNITY to bring together both artists, as the project solidifies the trance community and provides a platform for them to collectively make a difference. ‘Rosetta’ is an offering firmly placed in the roots of trance, with oldschool melodies littered throughout along with keys and electronic arpeggios that provide scores of interest and take centre stage in the absence of a vocal topline. Ferry continues to work with VH1’s Save The Music Foundation to add support to the organisation’s Music Tech Grant programme, which to date has donated $53 million worth of new musical instruments and equipment to over 2,000 public schools in 257 school districts across the USA, impacting millions of public school students. Founded in 1997, VH1 Save The Music was apparently the first organisation in existence dedicated to restoring music programs.